Jinhua, China - January 29, 2019 (Newsfile Corp.) (Investorideas.com Newswire) Kandi Technologies Group, Inc. (NASDAQ GS: KNDI) (the "Company," "we" or "Kandi"), announced today that Kandi Electric Vehicles Group Co., Ltd. (the "JV Company", an equally held joint venture by Kandi Vehicles and Geely Group, Ltd.) and Hangzhou Youxing Technology Co. Ltd. ("Youxing Technology") have agreed to collaborate in exploring new and innovative models for an online ride-sharing business with their combined resources and market advantages. 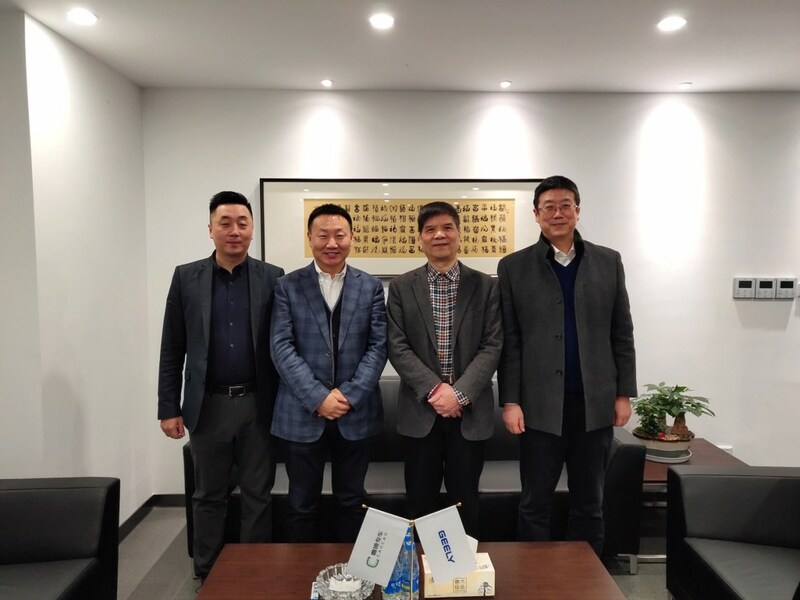 On January 28, 2019, representatives from each party, Mr. Zhu Feng, CEO of the JV Company and Mr. Dong Kainan, General Manager of Youxing Technology signed a Cooperation Agreement. Mr. Hu Xiaoming, Chairman of the JV Company and Mr. Liu Jinliang, Chairman of Youxing Technology also attended the signing ceremony. The two parties have agreed to utilize the "Cao Cao Zhuan Che" online ride-sharing platform to launch 20,000 Kandi brand pure electric vehicles for urban network ride-sharing services within three years. Founded in 2015, Hangzhou Youxing Technology Co., Ltd. is a strategic investment company owned by Geely Group, one of the world's top 500 enterprises. It was created to fulfill the goal of sharing the economic ecology of new energy vehicles. Youxing Technology aims to become the first ever ride-sharing platform combining the Internet and New Energy Vehicles. "Cao Cao Zhuan Che" is the core business brand of Youxing Technology and is the first and foremost Chinese domestic new energy focused mobility service. With a focus on environmentally friendly concepts in the urban environment, "Cao Cao Zhuan Che" aims to bring a new mobility solution to the electric vehicle ride-sharing market. Mr. Hu Xiaoming, Chairman of the Company, commented, "We are very excited to cooperate with Youxing Technology. We believe that our strong alliance will provide users with a high-class and convenient ride-sharing experience as part of efforts to achieve a one-stop low-carbon lifestyle. Combining our resources will enable us to rapidly expand market share, cut costs, and help maximize our business profits." Kandi Technologies Group, Inc. (KNDI), headquartered in Jinhua Economic Development Zone, Zhejiang Province, is engaged in the research, development, manufacturing, and sales of various vehicular products. Kandi conducts its primary business operations through its wholly-owned subsidiary, Zhejiang Kandi Vehicles Co., Ltd. ("Kandi Vehicles"), SC Autosports, LLC, the wholly-owned subsidiary of Kandi Vehicles, and Kandi Electric Vehicles Group Co., Ltd. (the "JV Company"). Kandi Vehicles has established itself as one of China's leading manufacturers of pure electric vehicle parts and off-road vehicles. In 2013, Kandi Vehicles and Geely Group, China's leading automaker, jointly invested in the establishment of the JV Company in order to develop, manufacture and sell pure electric vehicle ("EV") products. As of 2018, each party has invested RMB 1.045 billion in the JV Company, for a total investment of RMB 2.09 billion with each party holding a 50% stake in the JV Company. The JV Company has established itself as one of the driving forces in the development and the manufacturing of pure EV products in China.